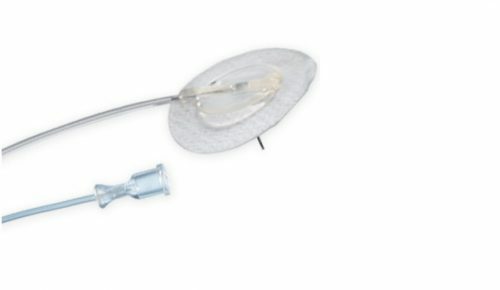 The neria™ infusion set is a specialised infusion set developed specifically for subcutaneous drug delivery, including immunoglobulins for primary immune deficiencies, deferal for thalassaemia (a rare blood disorder), morphine for pain management and apomorphine for Parkinson’s disease. 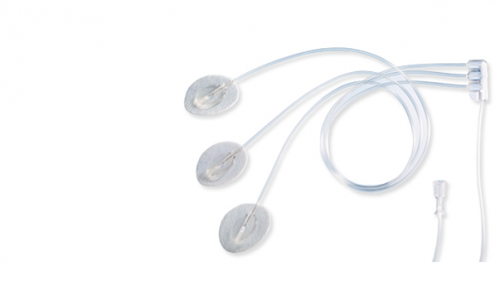 Infusion sets for these therapeutic areas are distributed under our brand name neria™. Best practice in pain management is to use the least invasive route of administration for the prescribed opioid. As a consequence patients are in most cases introduced to opioid pain management in a short acting formulation by taking the morphine in an oral form.1 However, if the pain continues and relief is not reached, or in cases of severe pain, patients may be prescribed stronger opioids by oral administration. If patients are unable to take medication orally, then opioids may be administered by injection or continuous infusion. 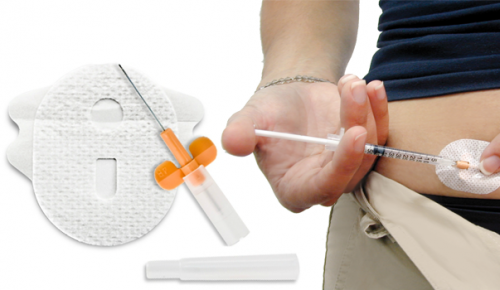 Subcutaneous infusion of opioids is considered preferable, as it is less invasive and may be better tolerated than intravenous infusion, and less painful than intramuscular injection. 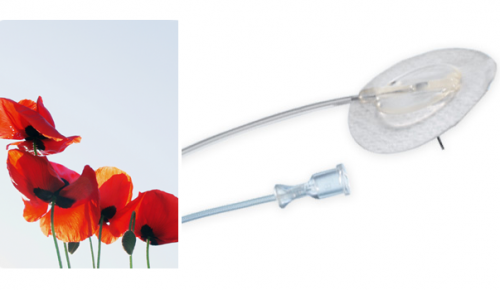 As relief and comfort are areas of focus in pain management, especially in palliative care, the soft cannula range of neria infusion sets are recommended in many cases for the infusion. 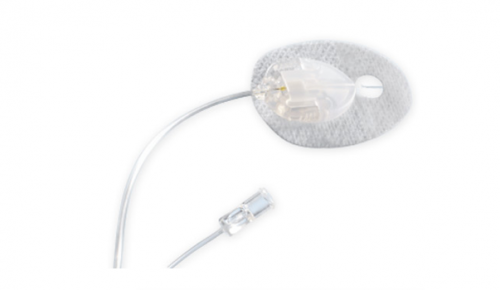 These infusion sets have a disconnect feature which make the sets convenient to use during long infusion periods. 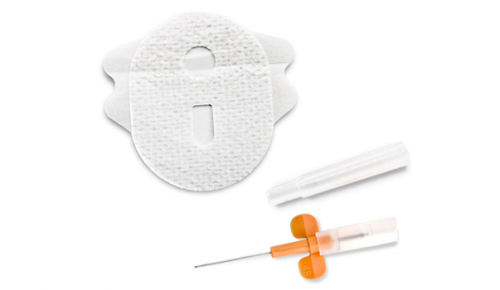 In general, however, the choice of infusion set should always be based on the health care professional’s assessment of each individual patient’s situation. Drug Compatibility Study of Three Infusion Devices with Morphine Sulfate, version 1.4, IKFE 10006, September 2, 2011, Data on File. Drug Compatibility Study of Three Infusion Devices with Hydromorphone Hydrochloride, version 1.4, IKFE 10006, September 2, 2011, Data on File. Parsons J. 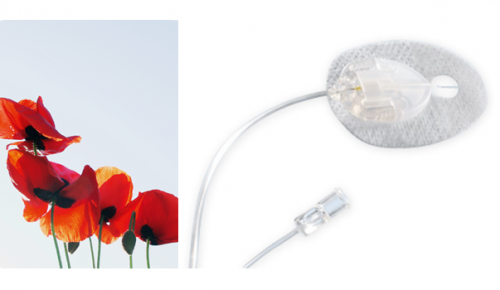 Infusion line preferences of patients prescribed apomorphine for complex Parkinson’s disease. British Journal of Neuroscience Nursing. December 2009.Vol 5 No 12. 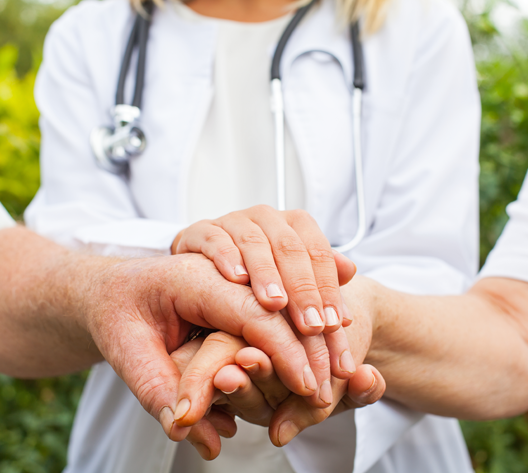 Parkinson’s disease is a degenerative disorder of the central nervous system resulting in the deterioration of the patient’s motor skills, speech and other functions. Some patients may not be able to control their disease effectively with prescribed medication resulting in unpredictable “on/off” fluctuations. 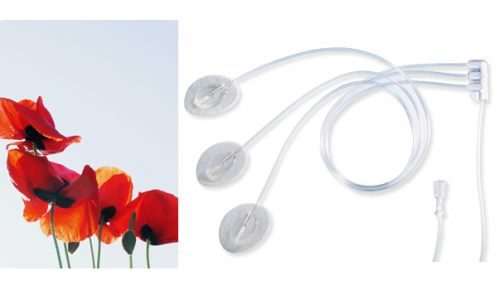 neria™ infusion sets are tested (in vitro) for use with apomorphine.1 The quality and careful design of neria™ infusion sets make them an excellent choice for the Parkinson’s patient treated with continuous apomorphine. Stability test and function test of Comfort and Contact Detach by means of the medicament APO-go. Analysis report no. 294690. January 14-April 1, 2009. Data on file. 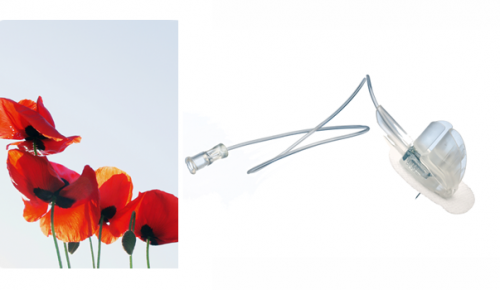 Compatibility and stability testing of the catheter device Unomedical comfort™ with the immunoglobulin Subcuvia. IKFE 09016. April 16, 2009. Data on file. Thalassaemia is a genetic blood disorder whereby the body makes an abnormal form of hemoglobin – the protein in red blood cells that carries oxygen throughout the body. Without enough normal, healthy red blood cells, oxygen cannot reach all parts of the body and severe anemia occurs. 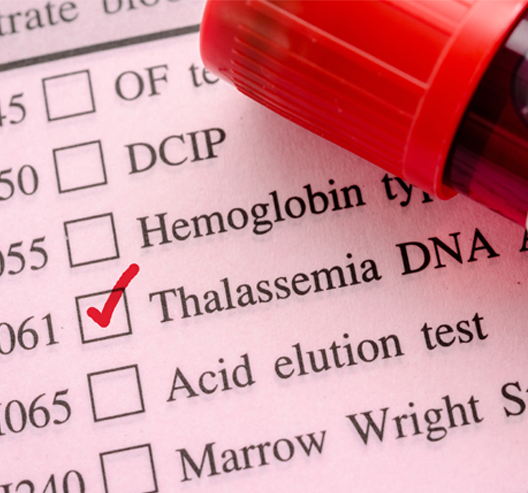 Some patients diagnosed with thalassaemia require regular blood transfusions to raise their hemoglobin blood levels. With each unit of blood transfused, an amount of iron is carried with hemoglobin, leading to iron build-up in the body’s tissue and organs – also referred to as iron overload. As iron can be toxic, too much of it can damage tissue. When excessive iron accumulates in the heart, liver, lungs, brain, and other organs, the risk of disease, and even life-threatening conditions, is high. * According to Desferal Summary of Product Characteristics (SPC) by Novartis Pharmaceuticals UK Ltd. 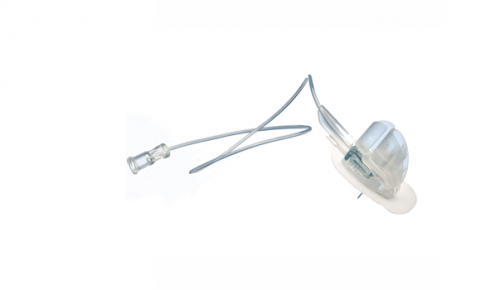 The patient uses an elastomeric pump or a battery-driven, syringe driver infusion pump to deliver a specified continuous amount of desferal subcutaneously over a self-administered period. The infusion sets should be changed with every treatment. 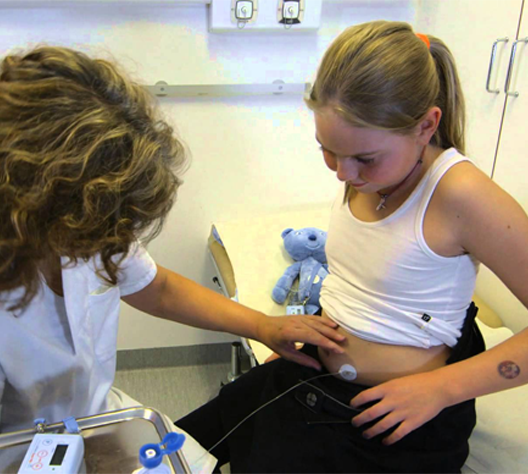 The patient inserts an infusion set under the skin and connects it to the infusion pump. 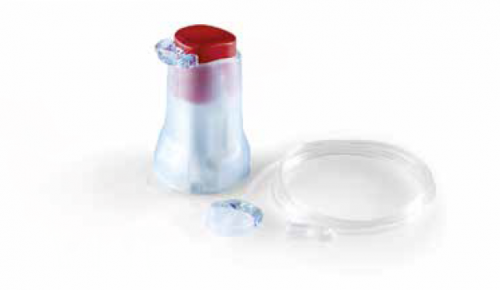 neria™ infusion sets are tested (in vitro) for use with desferal.1 The quality and careful design of neria™ infusion sets make them an excellent choice for patients treated with continuous Desferal™. 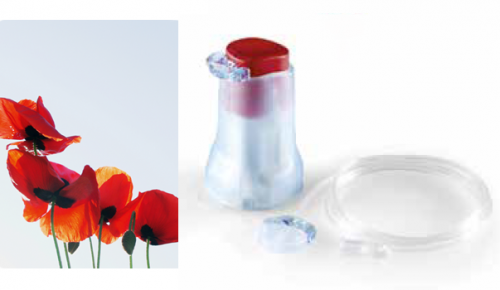 Drug Device Stability Test Thalaset – Study Desferal (deferoxamine mesilate). July 1, 2005. Data on file.